Dr. Oshetski, affectionately known as “Dr. O,” and our team create an atmosphere of compassion and fun, which results in a relaxing and reassuring experience for children, teens, and adult patients alike. Your comfort is critical to us, and because we work with patients of all ages, we recognize that each person who visits our practice has a unique set of needs and expectations. Working one-on-one with you or your child allows us to construct a treatment plan that is based on your unique desires. Since 1998, Dr. Oshetski and our team have worked diligently and tirelessly to allow our reputation as a provider of unparalleled orthodontic care speak for itself. 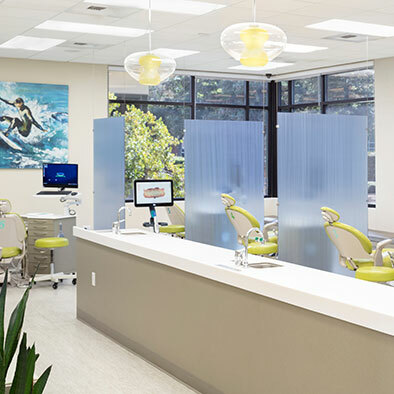 Our unmatched passion for staying up-to-date on the newest technology in the field of orthodontics means our patients can expect to receive the highest quality and most advanced care. We try to make every single appointment fun and positive for all our patients, and there is nothing more we love than watching patients of all ages smile ear-to-ear upon completion of treatment. And to make sure our patients don’t leave empty-handed, Dr. O and our team like to sing to you on deband day! We are dedicated to helping you feel comfortable every step of the way during your treatment. When you choose us, you can rest assured you are in the care of the most gifted, trusting, and welcoming orthodontic professionals in the area. Please give us a call at our Elk Grove or Meadow Vista, CA office today to schedule your initial consultation. We look forward to seeing you soon!